This company was well known for its Wolf motorcycles, which were made from 1901 to 1939. 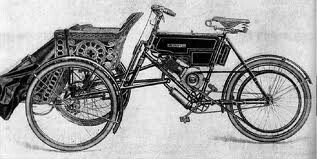 In 1899 they announced a voiturette similar to the Decauville in appearance with 2-cylinder air-cooled engine under the seat. Very few cars were made and it wasn't until 1904 that any other vehicle resembling a car was made. This was a tricar with a coachbuilt body and the 6hp water-cooled 2-cylinder engine placed vertically between the front and rear seats. Final drive was by shaft. The same design was made in 1905 with 7/8hp engine.